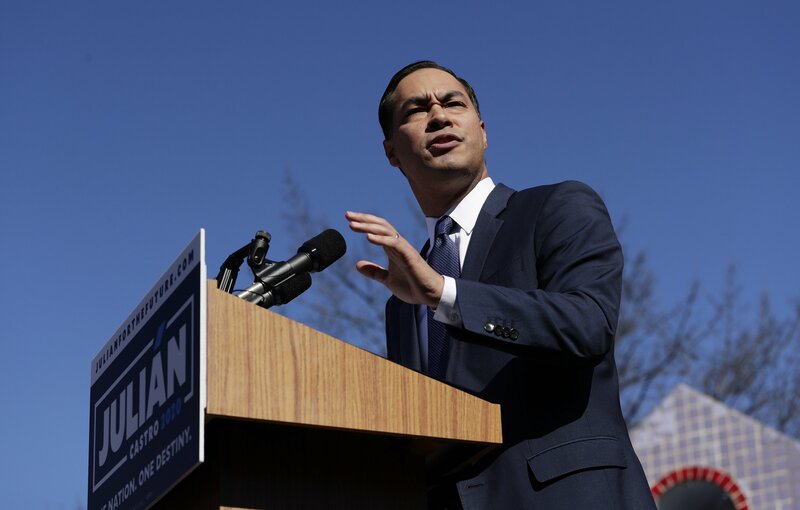 NEW YORK (AP) — Democratic presidential contender Julian Castro launched his campaign by pledging support for "Medicare for All," free universal preschool, a large public investment in renewable energy and two years of free college for all Americans. That wasn't enough for some of his party's most liberal members. Critics on social media quickly knocked Castro's plan to provide only two years of free higher education — instead of four — as "half measures," ''scraps" and "corporate Dem doublespeak." Aware of the backlash, the former Obama administration Cabinet member clarified his position in an interview days later.